Did you know that nearly all people experience dandruff at one point in their lives regardless of age or ethnicity. I will share with you how to get relief from this very common condition and what the best scalp treatment for dandruff is. Dandruff affects not just the scalp, but also the ears, eyebrows, sides of the nose, beard, and less commonly the central (often hair-bearing) part of the chest. Other names are seborrheic dermatitis or seborrhea. I have seen this condition in all ages from babies to the elderly. 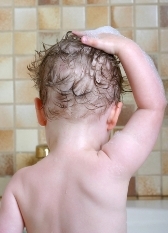 In infancy it is commonly known as "cradle cap." In the teen years it has been called "druff" for short. Some people are simply more prone, and others experience periodic clearing cycles and periodic flare-ups of the condition. 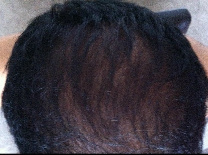 This condition typically looks like dry, yellow to whitish flaky skin on the scalp with areas of pink or red inflamed skin. Many individuals have no scalp symptoms but simply complain of "white flakes" on their shoulders, particularly noticeable on dark clothing. More advanced cases of dandruff may cause intense itching, burning, and unstoppable scratching. Some people are more prone to dandruff, and this condition tends to be a chronic or recurrent disorder with periodic ups and downs. Severe symptoms may prove to be a very difficult, resistant and frustrating condition for the many people who suffer with it. A very common yet emphatic question is, "What can I do to treat this condition?" First, you should know that most of the commercial products that millions of people buy everyday, have a drastically higher pH than the pH of a healthy scalp. These harsh shampoos come in at a pH of around 8 which is devastating to your scalp and hair. 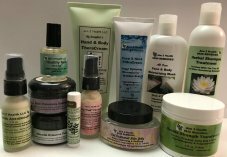 It is believed that most scalp conditions such as dandruff, flaking scalp, itching scalp, scalp psoriasis and scalp eczema are caused by a fungus that grows on the scalp. Normally this fungus is kept in check as long as the proper pH of the scalp is maintained in a range of between 4.5 and 5.5. So when your scalp's pH is disturbed or destroyed, that's when serious problems can erupt. 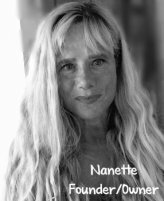 Tea Tree Oil: Tea Tree Oil has been used for many, many years by people around the world for its' extraordinary medicinal and anti-fungal qualities. It has a very helpful restorative effect on skin infections and scalp disorders of every kind. Remember: A natural shampoo doesn't disturb the natural PH of the hair & scalp like most commercial shampoos do. It soothes and hydrates the scalp for long lasting relief and health. It should be so gentle and mild that it can even be used on babies and small children who are experiencing prolonged cradle cap symptoms or are experiencing a constant itchy scalp. 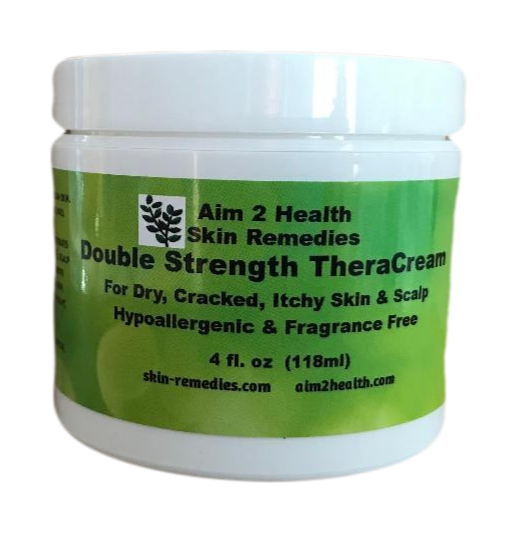 For Severe Conditions: If you are experiencing severe symptoms with white or yellow flaky patches or red dot like patches then follow this routine: At night before bedtime, rub a specially formulated therapeutic double strength cream into the parts of the scalp affected with the patches. A double strength formula penetrates the thicker skin of the scalp deeper and faster. Allow to absorb overnight into the 7 layers of scalp tissue and wash hair in the morning with the proper shampoo. Repeat as necessary until the problem is gone. 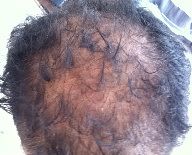 Below you will find a link to the natural products that, in my professional opinion, work BEST for dandruff symptoms.